Window tint and paint protection films offered at nine area Sun Stoppers. Are you interested in upgrading your car, truck or van by investing in professionally installed automotive window tint, if so, look no further than Sun Stoppers of Lake Norman. Window tint not only creates a beautiful and upscale aesthetic, it provides various safety benefits and high quality features. Automotive window tint reduces heat while protecting your skin and preserving the interior of your vehicle. Automotive window tint has steadily increased in popularity over the years, many people are interested in investing in a film that will not only provide style and class but also provide many safety features that should be standard with any vehicle. Window tint reduces the amount of heat in your vehicle by blocking infrared rays (IR rays). It also protects your skin by blocking unsafe UVA and UVB rays that are known to aid in causing cancer, melanoma, cataracts and eye degenerative diseases. Not only does window tint protect your skin, it also preserves the interior components of your vehicle such as the dashboard, fabrics and leathers. Sun Stoppers of Lake Norman is passionate about putting our clients needs first and ensuring a clean application of window tint every time. 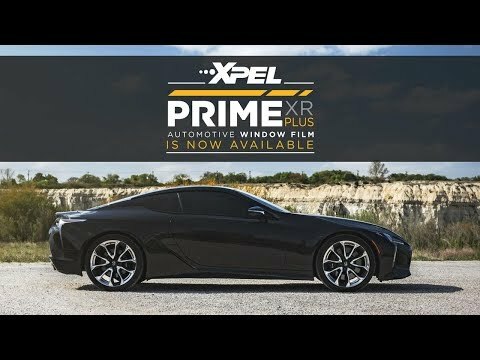 XPEL is dedicated to providing the best window tint within the industry. Their products are formulate to deliver optimal results and they only allow professionally trained window tint installers apply their films. Sun Stoppers has partnered with XPEL to provide you with top of the line service and the highest quality films you can find. Over exposure to the sun leaves the interior of your vehicle discolored and severely faded. Window tint is formulated to safeguard your investment from sun damage. Window tint is a great way to block infrared rays (IR rays) which cause your vehicle to over heat. Get the vital protection you need from automotive window tint while also creating a clean and polished look and feel. Customize your car, truck or van with professionally installed window tint. Automotive window tint installed at Sun Stoppers of Lake Norman will not prevent the usage of electronics, cell phones, radio signals or GPS systems within your vehicle. Sun Stoppers is the best, so we only allow professionally trained installers to work on our clients vehicles. All our installers are highly qualified with years of window tint experience. 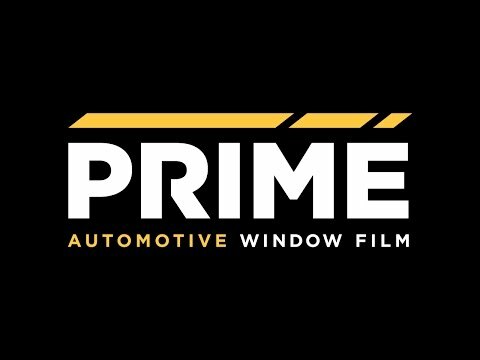 Choose from any of our top of the line window tint films PRIME XR, PRIME CS, PRIME HP and PRIME-XR-PLUS. Click to get a free Automotive Window Tinting Quote! PRIME XR’s nano-ceramic particle formulation is proven to extend throughout the lifetime of your vehicle. Window tint blocks 99% of harmful UVA and UVB rays while providing protection, comfort and style. Infrared radiation gets caught in your vehicle which makes it hot. XPEL PRIME XR window tint is formulated with ceramic particles that blocks IR rays. Block the amount of heat that is that is let in and caught in your car, truck or van, improving interior temperatures. XPEL PRIME XR provides SPF 1,000 protection and blocks over 99% of harmful UVA and UVB rays that can lead to skin cancer, premature aging and skin cell damage. Window tint provides all the protective and aesthetic benefits and features without sacrificing clarity of vision and color distortion. Electronics, radios, cellular devices, Bluetooth signals or GPS systems will always work in a vehicle that has been tinted with XPEL window tint which is made from advanced nano-ceramic particle technology. PRIME CS window tint provides lifelong color stable and glare blocking features while protecting the interior of your vehicle as well as your skin. PRIME CS reduces heat and blocks 99% of damaging UVA and UVB rays. Cracking, fading, peeling and turning purple will never occur when you invest in XPEL PRIME CS window tint. Glare caused by infrared, UVA and UVB rays while driving is significantly decreased, there is an enhancement in visibility and a reduction on unwanted eye strain. PRIME CS window tint film provides an upscale appeal while improving fuel efficiency and reducing heat. XPEL™ PRIME CS provides SPF 1,000 protection and blocks over 99% of harmful UVA and UVB rays that can lead to skin cancer, premature aging and skin cell damage. PRIME XR is a nonmetallic window tint, made from advanced nano-ceramic particle technology. Electronics, radios, cellular devices, Bluetooth signals or GPS systems will alway work in a vehicle tinted with XPEL window tint. Personalize and customize your car, truck or van by having your windows tinted with high quality and high performance window tint. The technologically advanced formulation of PRIME XP is first in class in providing the mot heat rejection to ensure you’re riding in complete comfort. The innovative formula that make up PRIME XP window tint offers a superior reduction of heat within your vehicle. PRIME HP provides SPF 1,000 protection and blocks over 99% of harmful UVA and UVB rays that can lead to skin cancer, premature aging and skin cell damage. PRIME XR is made from advanced nano-ceramic particle technology. PRIME XR is a nonmetallic window tint. Electronics, radios, cellular devices, Bluetooth signals or GPS systems will always work in a vehicle tinted with XPEL window tint. Show off your style by customizing the look of your vehicle with professionally installed window tint. If you want the best window tint you can buy look no farther than PRIME-XR-PLUS, it’s the automotive window tinting industries leading film. Escalate the overall look and feel of your vehicle while receiving all the top of the line benefits and features of professional grade window tint. Ceramic particles are what PRIME-XR-PLUS window tint is composed of, this technologically advanced formula filters out infrared radiation from inside your vehicle. The advanced make up of PRIME-XR-PLUS blocks an immense amount of heat let into your car, truck or van. When heat is blocked the interior stays cool and you’re provided with increased fuel efficiency. XPEL™ PRIME-XR-PLUS provides SPF 1,000 protection and blocks over 99% of harmful UVA and UVB rays that can lead to skin cancer, premature aging and skin cell damage. PRIME-XR-PLUS window tint promotes clear vision and is never subjected to color distortion. PRIME-XR-PLUS is made from advanced nano-ceramic particle technology and will not interfere with electronics, radios, cellular devices, Bluetooth signals or GPS systems.